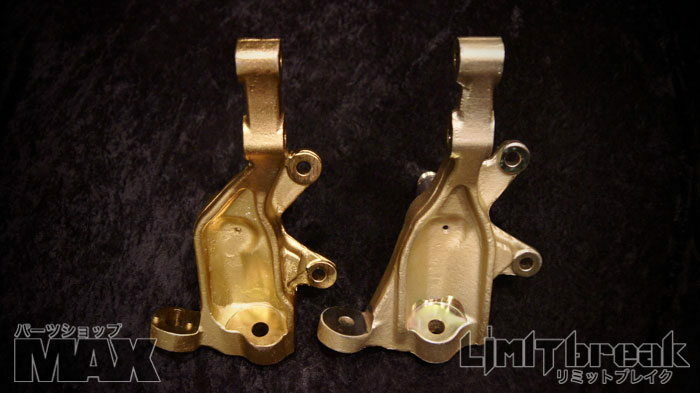 I'm currently making an angle kit for my RX-7 FC where mechanical trail is simulated by removing most caster, and turning the front of the car into a "shopping cart" by placing the pivot point of the ball-joint and strut lower mount ahead of the spindle. This can simulate the same kind of mechanical trail and produce similar self-aligning torque without having to use caster. Granted, pneumatic trail and tire slip also play a factor in determining self-aligning torque, but those are difficult to estimate without comprehensive data-logging equipment. I will attempt to retain "OEM" mechanical trail in hopes that self-aligning torque will stay similar. Correct me if i'm wrong, but I think this is exactly what Wisefab does with their S13 kits. This allows for reduced camber change over a greater range of steering angle. I'm not sure what Wisefab does with their King pin inclination (KPI, which also affects camber change), but hopefully nothing too crazy since it affects load transfer and compliance. I'm about to start fabrication, but before I do, I would like to know why the ball-joint pivot location is actually not in-line with the spindle on OEM FC steering knuckles? Some oem knuckles are posted below, as you can see, the ball-joint pivot point is located behind the spindle, and the lower shock mount is inline with the spindle, and FC's are front steer! 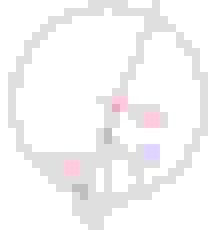 I posted in this forum, rather than the drifting forum because I think I can get more experienced responses. Thank you! I'll post up a thread once i start manufacturing. I'm coming to the conclusion that this creates self-aligning torque. 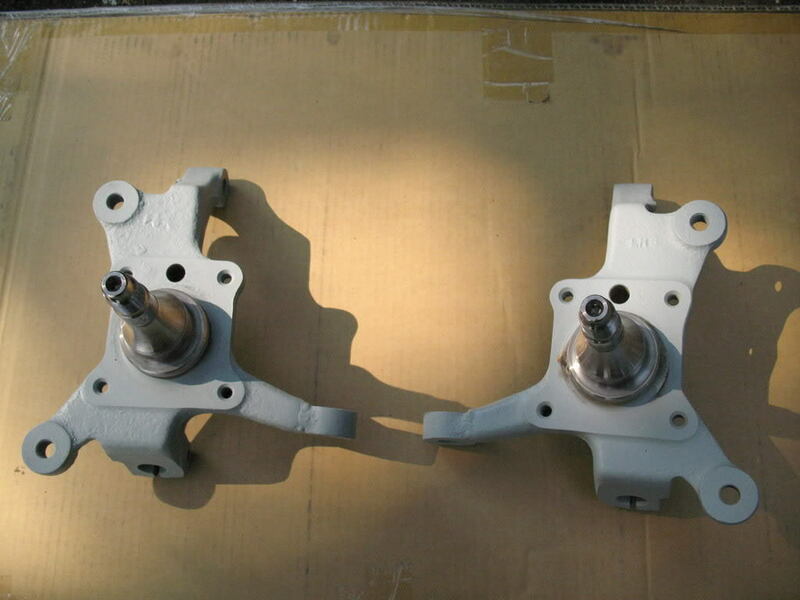 240 OEM knuckles are actually similar, but instead of the ball joint being offset from the strut mount and spindle, the strut mount is offset from the spindle and ball joint. I'm currently making an angle kit for my RX-7 FC where mechanical trail is simulated by removing most caster, and turning the front of the car into a "shopping cart" by placing the pivot point of the ball-joint and strut lower mount ahead of the spindle. This can simulate the same kind of mechanical trail and produce similar self-aligning torque without having to use caster. Correct me if i'm wrong, but I think this is exactly what Wisefab does with their S13 kits. This allows for reduced camber change over a greater range of steering angle. Lessee, caster adds more negative camber with steering angle, but steering axis inclination (SAI) takes negative camber away with steering angle. You'll want to have *at least* enough caster to compensate for the camber you lose with steering angle due to steering axis inclination. Probably because if it were aligned the caster would give too much trail. Same reason motorcycle triple-clamps have the fork tubes offset forward of the steering stem axis. Apparently it is advantageous on both cars and motorcycles to have more caster than required to get the right mechanical trail, so they move the axle forward to take away some of the trail due to caster. Last edited by ZDan; 05-25-17 at 04:37 PM. I'm sorry, I instead meant "more negative caster", not less caster. I agree with you that SAI (or KPI) adds to camber decreased along steering range. I am familiar with just the opposite. Moving your steering axis forward of your wheel would increase your trail, and therefore increase your induced self-aligning torque. I think what you might be saying is that although there is more trail, the rider will feel it less because they are acting on a lever. 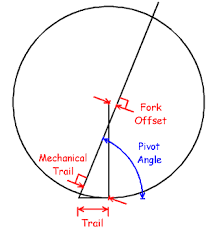 As you move the fork forward, it becomes offset from the axis that the wheel pivots around, and therefore adding to trail. ??? Positive caster is what you have now. Odd to say you want to remove most of it when you mean you want to add more! What I said was that the motorcycle fork tubes are offset forward of the steering axis, which does indeed REDUCE trail by moving the tire forward relative to where the steering axis intersects the ground plane. Car having the spindle located forward of the ball joint does the same thing. 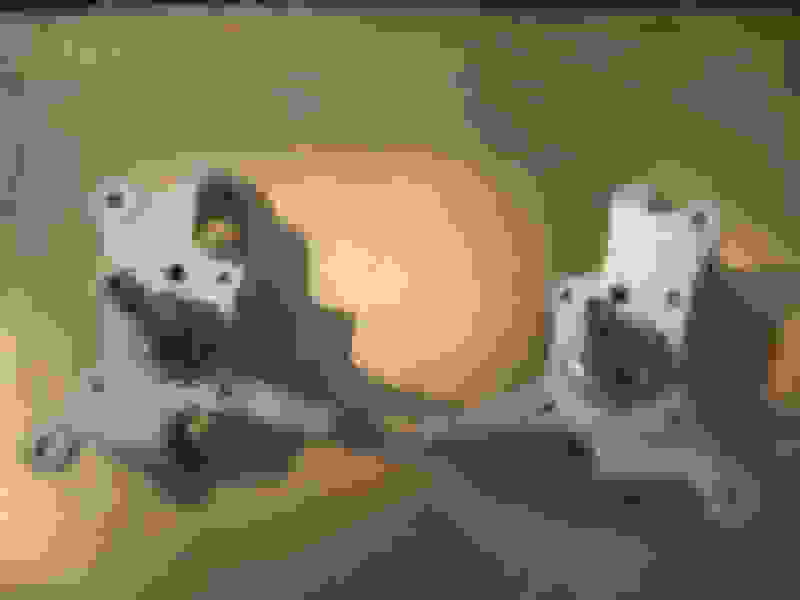 Anyway, rereading your first post, I now see that you mean to move the ball joint forward of the spindle, which would increase caster angle and give you WAY more trail. Again, seems like an extraordinarily bad idea... If you're trying to reduce camber change with steering angle, it seems to me like this would do the opposite (way more negative camber with steering angle way more than offseting camber lost due to SAI). What is the car doing now that you don't like and how do you think this is going to make it better? I think the confusion is how we address caster but we have the same thing in mind. Ah, I understand now. I had the idea backwards. That was the plan; to move the ball-joint ahead of the spindle and simulate the same kind of mechanical trail that you could achieve from traditional caster. 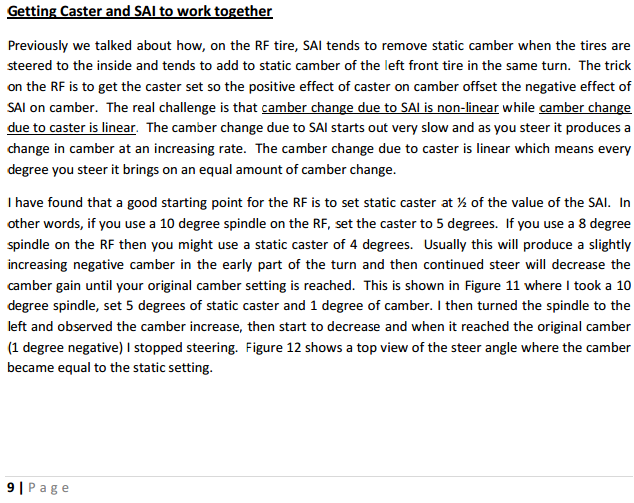 Well, camber gain over a range of steering is a function of increased caster and KPI (or SAI). If you had your strut straight up and down (zero caster), you would have very little camber change as you steer your vehicle, because the wheel does not have to "roll-over" (like on a motorcycle). If a motorcycle had zero caster, it's wheel would simply pivot as you steer, instead of roll over. The problem with this, is that you lose that self-aligning torque due to mechanical trail. However, motorcycles have very different tires than a car does, because the contact patch might not change to much as the tire rolls over on a bike, but it does on a car tire. The reason drifters run such large static camber is so that they can have a very large contact patch at high steering angles. The problem with this is, is that everywhere else along the steering range your contact patch is pretty small due to that very large static camber. So this means, you are really only using your front grip most efficiently when you are at that small range of angles, where you tire is nearly flat. Simulating the mechanical trail by moving the ball joint and strut mount ahead of the spindle would allow you to significantly reduce the caster WHILE maintaining that self-aligning torque due to mechanical trail. You'll have less load transfer to the rear of the vehicle as you turn due to reduced cross-jacking, and the vehicle may become more unstable under dive during braking. Steering feel will likely suffer, and my steering rack might blow seals. Essentially, I just don't like my lack of front grip at steering angles other than that "sweet-spot", so im hoping to broaden it so that I can make the vehicle react quicker to steering changes at higher speeds. Still not sure what you're getting at here. Stock, you have positive caster. The ball joint being behind the spindle reduces the trail from what it would be if ball joint was aligned with spindle. Moving the ball joint forward, ahead of the spindle, will drastically increase caster and even more drastically increase trail. So you're talking about also moving the top of the strut *way* forward so that it's even with the ball joint? So yeah, then your trail would just be equal to the distance ahead of the vertical axis you placed the strut. But you still have SAI, so now you lose a ton of camber with steering angle. It still sounds like a very bad idea to me... I wouldn't do anything until I had done the geometry and measurements to know exactly what camber change with steering angle you have now. SAI cancels out a lot of the camber change due to caster. I don't think you'd have to do anything near as radical as what you're talking about to get the camber effects of SAI and caster with steering angle to more nearly cancel out to zero. This was some excellent information. Iv'e read Caroll Smith's whole series and other vehicle dynamics books and never made such a realized connection between SAI, caster, and camber gain. However, it's more easier to realize now that I'm actually applying it. Furthermore, how SAI affects weight distribution on the tires was never something talked about. I can literally now think about the components of the forces into the contact patch as the tire is loaded up. 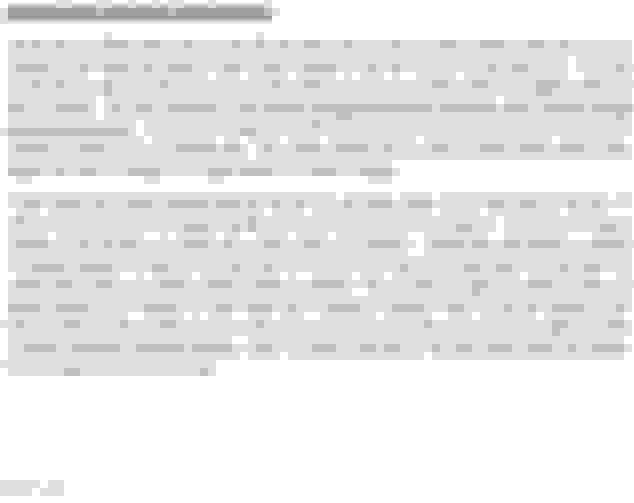 I'm really glad you showed me this and it's all very important information I need to experiment with as I develop my corner packages. That article you posted a pic of summarizes it well. I've been researching this a lot ever since I started messing with adding caster and changing SAI on my drift car and noticing the effects. One day I'd love to try making my own sheet metal knuckles to see if I can improve geometry anywhere. All the reading I've done has led me to the basic understanding that suspension geometry is a compromise of factors. Everyone likes different things and different behaviours. You change one thing and if effects 5 others, it's finding a balance between them all that works for your application. I started reading this thread on Zilvia which gave me a decent basic understanding of what's at play. 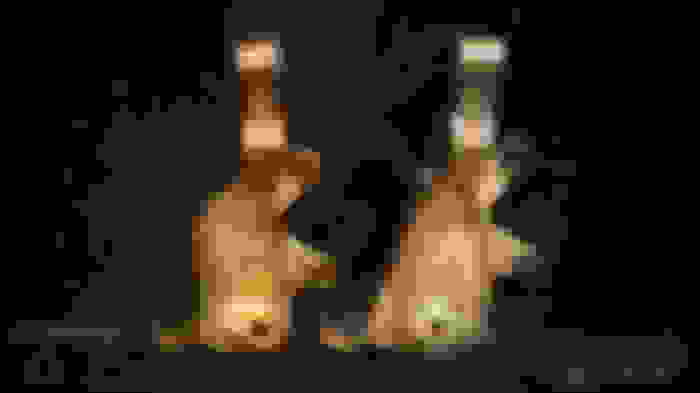 It also highlights the caster trail change of Part Shops new limit break knuckles. Now S chassis geometry is obviously quite different but you can see how they moved the spindle to increase caster trail. My understanding is wise fab did a similar thing to reduce caster without losing self aligning torque, which meant also reducing SAI which is why their strut top pickup point is so far from stock (and crazy track width increase for wheel clearance). I'm unsure of what else is involved, I know reducing caster makes for less feel and steering aligning torque but i don't think as simple as just adding some caster trail to combat this. Adding caster trail has to have some other adverse effects no? Last edited by teeson; 06-02-17 at 11:56 AM. I believe he was referring to steering induced dynamic "weight jacking". I don't drift, but I do like to while I pretend I am a race car driver. I have had FC longest, then FD and last RX-8. 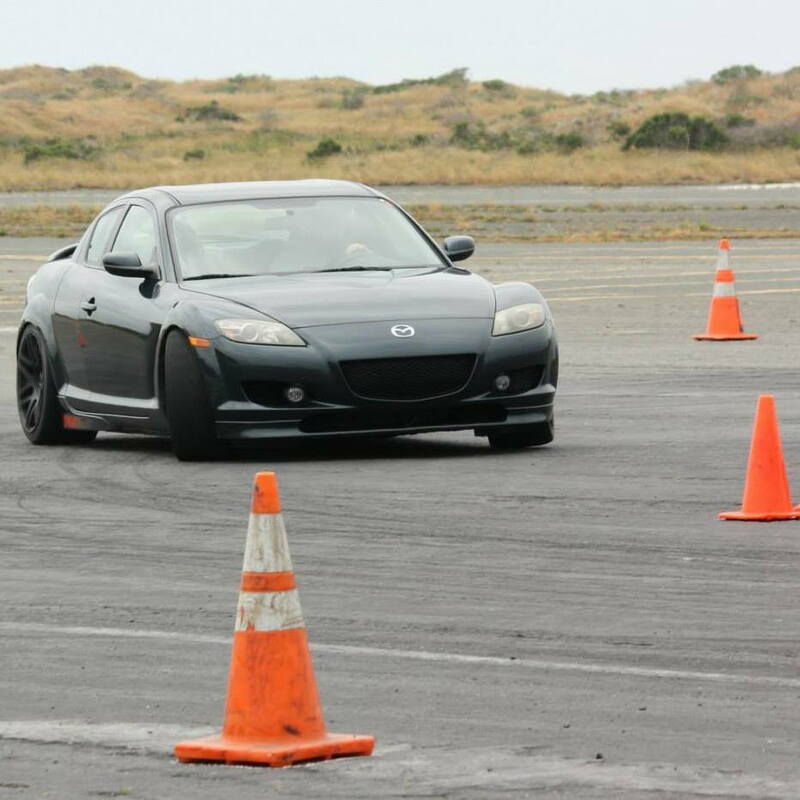 You owe yourself a drive in an RX-8 if you enjoy drifting. Needs more angle, but the front grip is awesome and the long wheelbase is great while the centralized mass keeps it quick in transition. Out of the rotary cars, it is the natural drifter. Cheap chassis, available and cheap stock and aftermarket parts are icing on the cake. Early rear suspension bits bend pretty easily, but the later ones are more robust or replacements since they are all simple rods. I'm not saying run out and buy one now; but drift cars aren't forever, so consider the RX-8 chassis next time. I apologize for being unclear; when I refer to "tire loading" im quite literally talking about how when you are going into a corner, your vehicle transfers load across its body, and then into the tires. If you look at the angle of the strut from a head-on view, it is literally aimed into the center of the wheel. However, the angle at which the strut sits is different than the king pin-inclination (KPI or SAI) on a Mcphearson strut. The KPI is an imaginary line from the top of the strut (where it mounts to the tub), through the ball-joint to the ground. 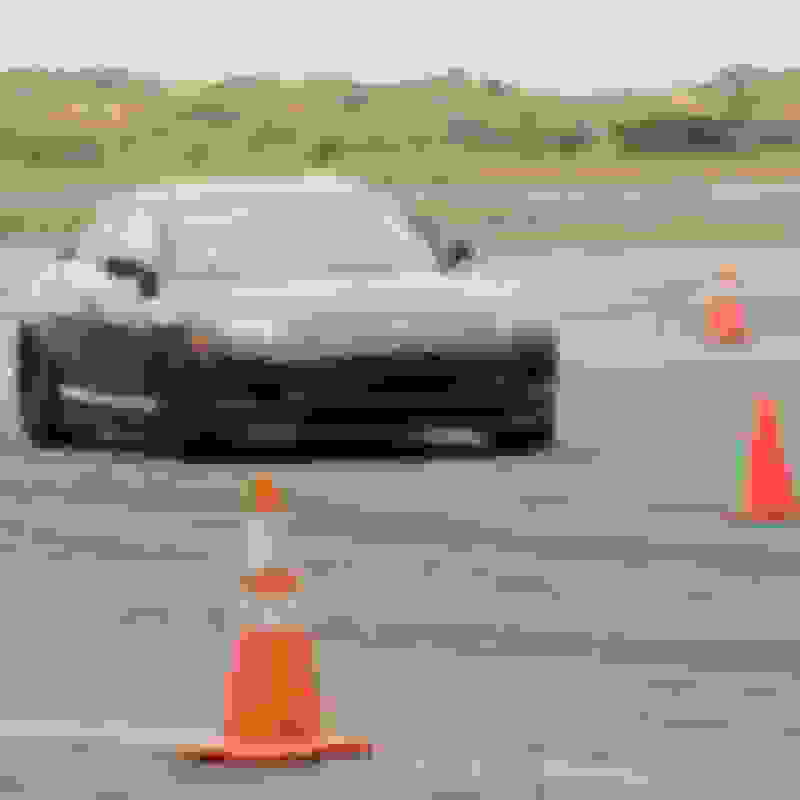 If you compare the strut angle of an OEM 240sx and OEM RX-7 FC, you will see that the KPI on those vehicles is similar, although the strut is at different angles, the 240SX strut is at much less of an angle, which differently loads up the tire becuase of how the body rolls and load transfers, which changes the components of the forces, i think. Scrub radius is the radius at which your wheel travels compared to where your steering axis is. If you've ever steered a go-kart, then you'll know what i'm talking about. Scrub radius is typically undesirable because you will be "scrubbing", or dragging your wheels as you turn them. This can lead to poor steering feel and responsiveness, and it can also grab your wheel and yank your car if you hit a pot hole or something. Most drifters sacrifice scrub radius for more angle or bigger tires. It's really whatever you feel comfortable with. Difference between the wisefab and pbm set is that the ball-joint pick up is inline with the spindle while the strut is offset, while pbm offsets both the strut and balljoint forward. I think what wisefab did puts your strut in bending lol. Alot of people report wisefab blowing out their shocks. It allows you to get more steering angle though, becuase you don't have to move your control arm forward which can cause it to interfere with the wheel. Furthermore, a greater track width helps reduce suspension sensitivity to bump, transitioning, etc. Also, it reduces rate of camber change as the vehicle experiences suspension travel, because it travels along a larger arc. I would certainly like to try an RX-8! The longer wheelbase would be very desirable, and the fact that they are double wishbone makes suspension tuning nicer. No worries pump, lol the biggest learning curve I've found is just the terminology as everything has a couple names and people use different ones. I say pbm moved the spindle instead of moved the ball joint and strut but same same. This is a benefit of moving the strut to change caster instead of using the tension rod on an S chassis. So much if the info out there is more specific to the Nissans, in glad people are exploring rx7 geometry.